The Cowan Creek Mountain Music School is pleased to offer an apprenticeship to a student or teaching assistant for the purpose of a year of intensive study with a master musician who has taught at the Cowan Creek Mountain Music School either as an instructor or a visiting master. The program will fund expenses relating to travel and documentation and will provide an honorarium to the master artist. The mentor and apprentice will have ample opportunities to showcase the results of their year’s work at local festivals and other venues. The program is intended to encourage and spread the growing enthusiasm of young people for connecting with the cultural traditions of their region and carrying on these traditions on in their own lives and communities. The apprenticeship program honors the memory of Charlie Whitaker, who introduced a new generation to square dancing at the Cowan Creek Mountain Music School, from the first school in 2002 until his passing in 2009 at the age of 80. Charlie was also the caller of the Carcassonne square dances for over 60 years and led countless dances around the state. He had a gift for including everyone in the fun of a dance and saw it as a vehicle for helping young folks develop confidence and leadership skills. 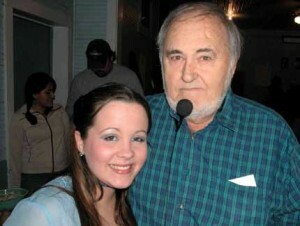 Charlie taught and encouraged many new callers, most notably Erin Stidham, who attended her first square dance at the age of 14 at the 2002 CCMMS and became a Kentucky Folklife Apprentice with Charlie two years later. Erin is now the house caller for Cowan Community Center events and has joined the CCMMS faculty. Erin’s apprenticeship has been critical to preserving dance as a vital part of community life in east Kentucky. The apprenticeship program is intended to honor Charlie’s remarkable lifetime contribution to mountain arts and his mentorship of Erin serves as a guiding example of what we hope the apprenticeship program will achieve. The apprenticeship program is primarily aimed at young adult students or teaching assistants, ages 15 to 30, who are progressing well in their chosen instrument or art and are ready to commit to a year of digging deep into the tradition. The apprenticeship is not limited to music but can also include dance calling, storytelling or other mountain art. Applicants should choose a potential mentor from among the CCCMS faculty and visiting masters, past and present, and should consider as specifically as possible what skills they would like to gain during the year of study. How frequently and for how long the mentor and apprentice meet is flexible, since there may be significant travel involved. The schedule of meetings should be agreed upon by both at the beginning of the apprenticeship year. In addition to work with the mentor, the mentor and apprentice may also visit elder masters, perform or lead workshops together. Your application will be strengthened if you contact the prospective mentor and swap ideas for the apprenticeship year before starting the application. If contact info is needed email John Harrod (see below). The mentor will receive a $1000 honorarium for their work with the apprentice and the apprentice will be reimbursed for gas mileage and recording supplies up to, but not exceeding, $1000. Please see the Charlie Whitaker Memorial Apprenticeship Application Form and the Charlie Whitaker Memorial Apprenticeship Application Guidance page, below. One apprentice will be chosen each year in which both funding and a promising applicant are available. TO APPLY: Please download the Application Form and fill it out as a Word document; the Application Guidance form will help you do so. Email it to lostjohnharrod@yahoo.com before 12:00 noon, June 1st, 2019. Questions about the program or application process can be addressed by email to: lostjohnharrod @yahoo.com. Applications will be forwarded to a panel of three Cowan Creek Mtn Music School faculty who will choose a potential apprentice and then assure that the chosen mentor is willing and able to work with the apprentice for the year. All applications must be received by 12:00 noon, June 1, 2019. The selected apprentice will be announced during the Cowan Creek Mtn Music School and work with the mentor should begin immediately thereafter. 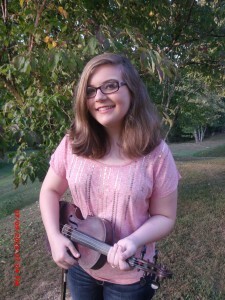 2018-2019 Lilly Smith, Mentor – Meghan Bryant Lilly Smith, from Clay County, Kentucky started her musical journey as violinist and has branched out into traditional fiddle styles. In a heart-warming closing of a musical circle, Lilly is apprentice to the first Charlie Whitaker Memorial Apprentice, Meghan Bryant. Together they are exploring tunes and techniques from Buddy Thomas, Ed Haley and other northeast Kentucky fiddlers. 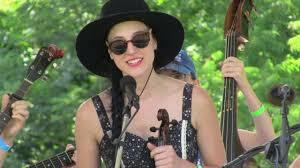 2017-2018 Katie Peabody Mentor- John Harrod Katie and John are exploring blues, rags, and the rich contribution of Kentucky’s African-American fiddlers to American roots music. Their work has been furthered by historian Micheal Jones, author of Louisville Jug Music: From Earl McDonald to the National Jubilee. 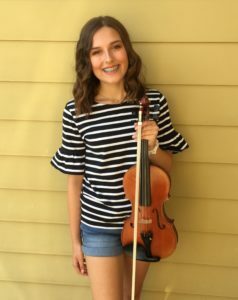 Katie’s apprenticeship year will culminate with assisting John in teaching an intermediate/advanced fiddle class at CCMMS focused on the repertoire of Kentucky’s African-American fiddlers. 2015-2016 Kelsey Estep Mentor- Sarah Wood Kelsey, who is an accomplished fiddler, expanded her musicianship in singing and guitar. Kelsey’s apprenticeship year led to a workshop in unaccompanied ballad singing at CCMMS 2016 and she served as a teaching assistant in fiddle. 2014-2015 Meghan Bryant Mentor- Jesse Wells Meghan and Jesse explored tunes from the archives of the Morehead State University Center for Traditional Music particularly the northeast Kentucky fiddlers such as Buddy Thomas. 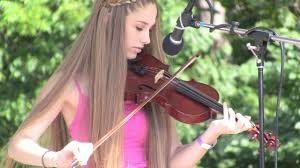 Meghan’s apprenticeship year included assisting Jesse in teaching early intermediate fiddle during CCMMS 2015. “I think the Charlie Whitaker Memorial Apprenticeship is a wonderful opportunity for anyone interested in learning more on their instrument. I’m so thankful to Cowan Creek Mountain Music School for being so generous in giving this apprenticeship and making it possible for someone to study music from a master and learn how to carry on the old time music tradition. I have learned so many things in this year from Jesse. I’ve learned fiddle tunes from Doc Roberts, Kenny Baker, Buddy Thomas, George Lee Hawkins, John Morgan Salyer, and many other great fiddlers. I’ve also learned a lot about other styles, like fiddling in bluegrass, fiddling in country music, playing fiddle in a band, and some music theory. I think this apprenticeship has helped me grow not only as an old time fiddler, but all around as a musician.